A list of Synonyms or Similar words What is synonym? 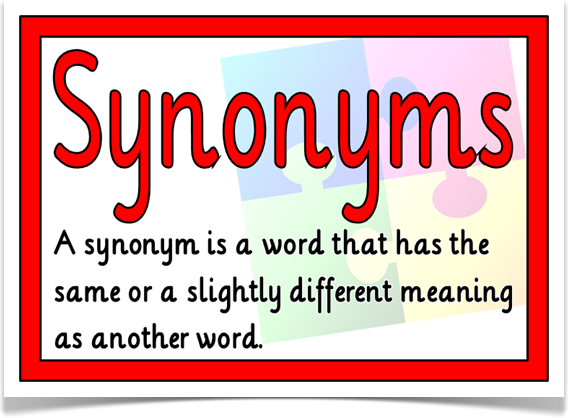 A synonym is a word that has the same meaning We know that synonyms are words with similar meanings -- but one synonym cannot always simply be substituted for another. And rules of word usage often dictate whether they can be applied in the same way. Here I have made a list of Similar words for you so that you can learn easily. So at first learn and then compose a sentence for each word in the pairs to illustrate the correct use of the words. This study will help you for struggling to expand or increase your vocabulary knowledge. For learning a language grammar and word are essential. SYNONYMS SIMILAR WORDS is very important to know for applying appropriately. Every Language has a huge number of words like SYNONYMS/SIMILAR WORDS and ANTONYMS/OPPOSITE WORD. We should know this word. So in this lesson, I shall discuss about Synonyms or Similar words. We know that synonyms are words with similar meanings -- but one synonym cannot always simply be substituted for another. And rules of word usage often dictate whether they can be applied in the same way. Here I have made a list of Similar words for you so that you can learn easily. So at first learn and then compose a sentence for each word in the pairs to illustrate the correct use of the words. This study will help you for struggling to expand or increase your vocabulary knowledge. Thank you so much for expressing your feeling of love of my website after reading my article "A list of Synonyms or Similar words". please come back again and share your favourite website to your friends on Facebook Twitter and Google Plus. if you have any question to me Ask here - Answers Mode and if you want to contact then you will get contact form here. Thanks for your comment I shall try to write more here on A list of Synonyms or Similar words.